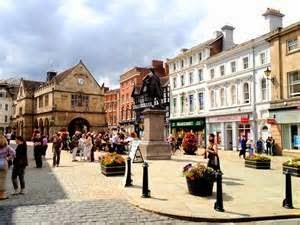 Shrewsbury is one of Britain’s tastiest towns and boasts scores of restaurants and dozens of food producers. 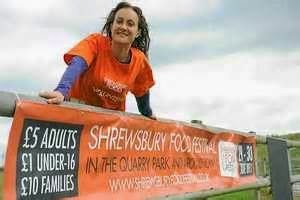 There will be TONS happening around Shrewsbury over the weekend of 28th and 29th June. 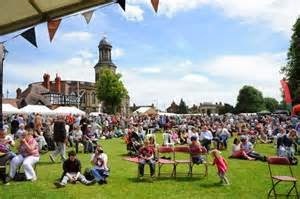 Over 200 exhibitors will provide artisan food and drink in a courtyard setting in Shrewsbury’s Quarry Park. The festival aims to celebrate local eateries, food producers and craftspeople in a family-friendly environment. Shrewsbury Market Hall will sizzle with live cooking demonstrations by some of the town’s best-known chefs and artisan food producers as part of Fringe events during the Food Festival. The demonstrations will be held in the indoor market throughout the festival weekend in addition to gourmet demonstrations by celebrity chefs in the town’s Quarry Park. Among the market’s line up will be Masterchef The Professionals quarter-finalist Chris Conde, executive chef at Henry Tudor House; Shropshire Council’s 2013 Curry Chef of the Year Dr Lal Haider, of The Old Hall Persian Restaurant, Dorrington; and Paul Maders, head chef at The Inn Of Grinshill. Also taking part will be James Sherwin, of James-in-a-Space pop-up restaurants, a recent competitor on ITV’s The Taste UK; Vic Rowling, head chef at The Lord Hill Hotel, who will be performing his own culinary version of ‘The Generation Game’; and Mark Jones, head chef at The Corbet Arms hotel at Uffington. The market’s own talent will be in action. National award-winning artisan chocolatier Julia Wenlock, of Toot Sweets, will demonstrate the art of real chocolate-making; fish expert Ian Cornall, of Barkworth Seafoods, will be cooking up a seafood spectacular; and master butcher Jon Sykes, of Corbetts, poultry suppliers to many top Shropshire restaurants, will show how to debone a chicken the professional way. Mat Hocking, Les Crêpes De Sophie’s beer specialist, will be giving a talk and taste on Shropshire beers. A host of other events will take place in the market, including food tastings, live music and competitions. The market’s eateries will open for Festival Breakfast from 8am and The Market Buffet restaurant will be rustling up its popular festival afternoon tea from 2pm on Saturday June 28. 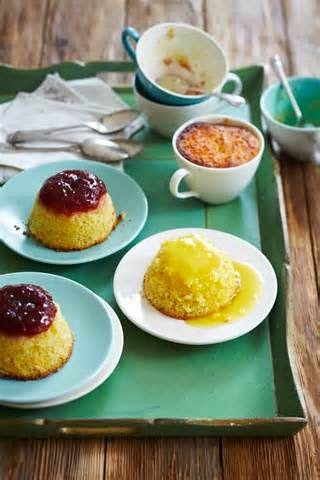 Sweet-toothed visitors to Shrewsbury can enjoy a remarkable 100 plus puddings at a special one-off event in the town centre. The town’s Baptist Church, in Claremont Street. They will host the county’s biggest ever pudding tasting, featuring more than 100 desserts. Mini morsels for children aged 11 and under will be available for £1. The pudding tasting is being run in conjunction with volunteers who use The Baptist Church. There is an opportunity to taste a range of wines at Tanners Wines. The Guardian recently said Tanners Wines is 'a bit like the cellars of Hogwarts as imagined by Charles Dickens…Infinitely more fun than any supermarket.’ The Independent proclaimed Tanners as 'the ultimate country wine merchant.’ The Times said it contains 'one of the most outstanding wine selections in the country' and was one of Country Life's 'Ten Most Charming Shops in Britain'. On Saturday 28th June, multi-award winning Tanners Wines will conduct free wine tastings with international producers and throwing open the doors to its fascinating passageways and cellars, a treasury of artefacts from its 171 years as a wine merchant. 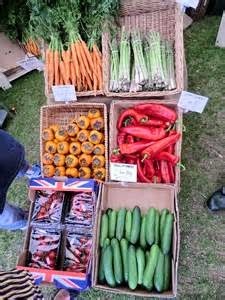 Shropshire has some of the best artisan producers in the UK. That’s one of the many reasons why the festival is the tastiest of all. If you fancy a full English, you can’t go wrong with a sausage from Moor Farm, a few rashers of bacon from Maynard’s, eggs from any number of farms, black pudding from Shrewsbury market and bread from Shrewsbury Bakehouse. Or, if you fancy the healthy option, why not try a delicious bowl of Shropshire Granola, using local honey, seeds and fruit; or a satisfying bowl of porridge, made with Pimhill Oats Make no mistake; Shropshire is Britain’s tastiest county. They’ve got the best butchers, smokers, bakers, brewers, cheese makers, chocolatiers, meat curers, vegetable growers, fruit pickers, oil producers and fish mongers. Happily, most of them will be present for the weekend. They have hand-picked over 200 artisan producers and they will give you a taste of Shrewsbury in our courtyard arena. You can ask them when they harvest, press, sow, rear and cook. They’ll tell you how they preserve natural flavour in fresh, seasonal products that will excite and beguile.